Thailand is blessed with beautiful coastlines on both sides of the country. Through multi-faceted research, the Thailand Manta Project is working to shed light on the manta populations on both sides of the nation, and the threats that are impacting them. Thailand is blessed with beautiful coastlines on both sides of the country. Whilst mantas have been sighted in the Gulf of Thailand, it is usually in the Andaman Sea where oceanic manta rays are more frequently encountered. 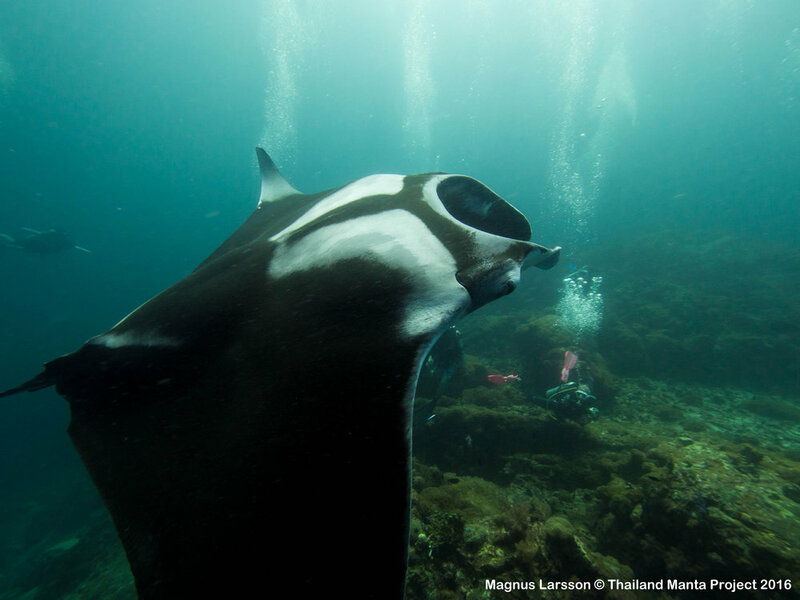 The most common manta sites - including Koh Bon, Koh Tachai and the two pinnacles of Hin Daeng and Hin Muang – are where these giants gather to clean and court. Through multi-faceted research the Thailand Manta Project is working to shed light on Thailand’s manta populations, and the threats that are impacting them. Using photo-identification methods and field observations this project is building a comprehensive database of individual manta rays, allowing manta distribution to be mapped across Thailand’s waters. Over time, this data will enables us to make an estimation of population size and highlight trends in behaviour, movements, life history and identify areas of critical habitat use. 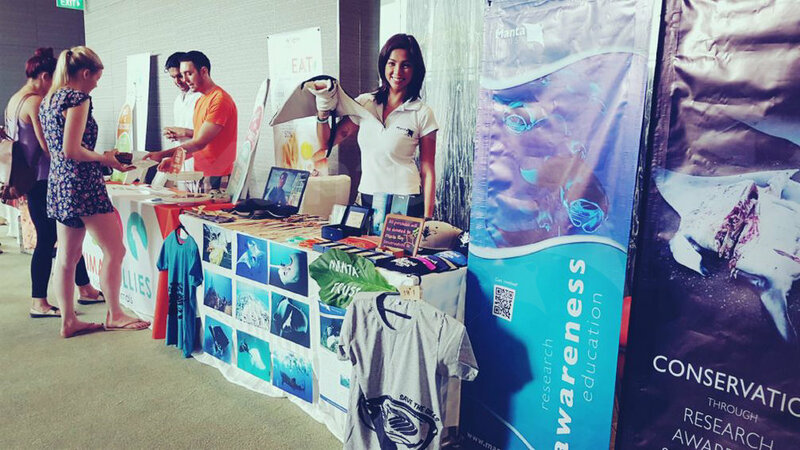 We work closely with and engage local communities, businesses and the Thai government, to help raise awareness on the ecological and economic importance of protecting manta rays and their habitat. Investigating the manta ray fishery in Thailand is an equally important aspect of the project’s research. We works with Department of Fisheries in monitoring impact of this threat in Thailand. The project’s fundamental goal is to create value for living manta rays as a sustainable natural resource for the tourism industry. Thailand’s underwater beauty is famous among the world’s diving community, serving as one of the top dive destinations in South East Asia. From November to April divers visit the Andaman Sea with the hope of seeing the oceanic mantas which seasonally frequent the reefs in this region. In terms of oceanic manta tourism, Thailand is the second most popular place in Asia to dive with these gentle giants and manta tourism generates millions of dollars for the country each year. In September 2018, Thailand officially announced measures to protect 12 marine species by adding them to its national protected list - including all six species of manta and devil rays seen in Thai waters - meaning it is now illegal to kill, trade or possess any of these species. This is an important step forward for manta conservation, and we'll continue to collect data to monitor its impact across Thailand, as well as working with the diving community to implement the correct code of conduct necessary for sustainable manta tourism. To increase national protection for all manta and devil ray species in Thai waters. This will be achieved by better understanding the regional population, and by educating and working with local communities, businesses and the Thai government to raise awareness of the need to protect these species. (1) Collaborate with the Department of Fisheries and Department of Marine Coastal Resources to work towards the conservation of manta rays and marine resources in Thailand. (2) Provide educational workshops and presentations on manta and ocean conservation for communities in Thailand and its neighboring countries. (3) Encourage the diving community to participate in citizen science programs, and follow research-backed Codes of Conduct to ensure manta tourism is sustainable. (4) Create, grow and maintain a population database of manta rays in Thai waters. Born and raised in Thailand with most of her life growing up in the city, it is difficult to explain where Jamie’s connection with the ocean came from. During years of traveling, no matter where she is in the world, all she needed was to be close to the ocean to feel at home. With her passion for marine conservation and SCUBA diving Jamie joined the Miss Scuba International competition in Bali in 2012, where she took home the titles of Miss Marine Conservation and Miss Scuba International 2012/13. It was also during this competition where Jamie first learned about manta ray and the threats they face from fisheries. Jamie quickly committed to do whatever she could to protect these majestic animals before it is too late. In 2013 Jamie became involved with many marine conservation projects both in Thailand and Indonesia. One of her proudest moments was when she gave a speech at Manta Ray Reception during the CITES Convention in Bangkok, where both species of mantas were being proposed for protection under CITES Appendix II. In 2014 Jamie’s dream came true when she was given the opportunity to volunteer for the Manta Trust's Maldivian Manta Ray Project, where she spent three months learning, researching and working closely with her beloved mantas. After returning home, Jamie left her life in the city to work as a PADI Open Water Scuba Instructor. She soon realised how little information was available about the manta populations in Thailand. Seeing the opportunity to use what she had learned from Maldives, Jamie decided to start the Thailand Manta Project, with the goal of protecting these ocean giants in her home waters. Established first nationwide database for manta rays in Thailand. Provided data to support a proposal to include manta and devil ray species on Thailand's National List of Protected Species. Established collaborations with the Department of Fisheries and Department of Marine Coastal and Resources in Thailand. Established collaborations with several dive operators in Thailand. Provided educational presentations on manta and ocean conservation to diverse communities in Thailand and its neighboring countries. สาวสวย ดีกรี Miss SCUBA International 2012 "คุณเจมี่ - ปิยะดา มนต์มณีรัตน์" ครูสอนดำน้ำผู้มีใจรักในธรรมชาติของท้องทะเล ที่จะพาเราดำนำชมความงามของท้องทะเลอันดามันไทย เธอผู้นี้เคยมีอาชีพ MC มาก่อน แต่ด้วยใจรักในอาชีพครูสอนดำน้ำ จึงย้ายจากกทม.